Hi! thanks for stopping by at my Passle blog, my 'scrapbook' for photography inspiration and stories. I’m Gaya. Capturing beauty through the frame of a lens is my thing – it may sound corny but I grew up with a camera in my hand. My Polish roots meant in the early days it was an old manual Russian SLR, which I literally took everywhere (much to my mum’s dismay). The more I photographed the more I realised that what lit up my lens was capturing personalities and emotions through portraiture. I promise I have upgraded my equipment and while things in my life have certainly shifted – I now live in leafy Oxford with a tech geek – what has not changed is that I always have a camera in my hand. And I still see things through frames. I am fun, creative but professional. And so is my photography. Capturing memories and life’s little intricacies is what I am about. In my second life I am a professional web and print designer, where every day I play with colour, composition and form, which has only strengthened my photographic technique. What is so important to me is getting people to feel comfortable, so in many ways I see my clients as friends. Drawing out personalities through creative and inspiring images is where I get my satisfaction – finding their perfect angle, capturing significant details and real moments in real-time is what I strive for. I have a relaxed, modern style through which I give a refreshing edge to classic shots and those unexpected highlights. Reportage or photojournalism call it what you will – what I do is create a story of your big moment or special day always with a smile that makes its way on to the frame. For my portfolio and more info please go to http://www.photographybygaya.com. 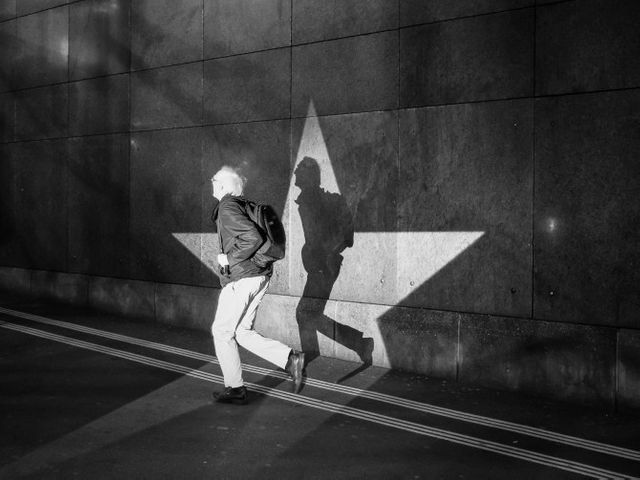 I have just come across Martin Weibel‘s work who experimented with mixing projected light using the Light Blaster in the context of street photography. What a great idea. Street photography is by nature very spontaneous and relies on available light which sometimes makes it tricky. This not only injects some degree of control but interesting stage-like feel to it. Inspired. The idea behind the Project “Flash the Street” is to combine the mood and candid way of street photography with the possibility and the creativity with a artificial light source. The Light Blaster is a great and handy tool to do that. Most of the shots are candid. The idea and the setup are planned in advance, but the model is random. Why is the Passle logo an octopus? Best tools to find relevant images for your content.